An enabler is a person who makes it possible or allows the other person to do or behave in such a way that damages that very person. 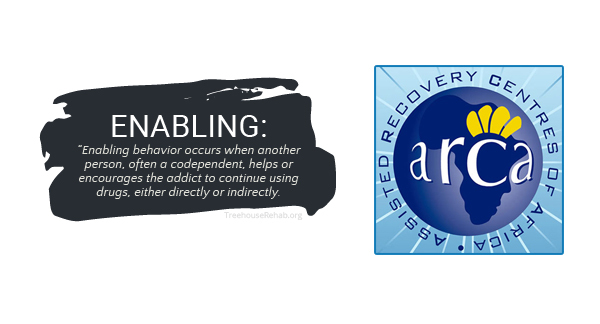 The actions of addicted persons negatively affect their own as well as family life. There are many people struggling to find out the difference between enabling and helping. It is very important to know the difference first. You might be thinking of helping someone, however, you will be doing wrong with that guy in reality. There might be situations when your help may cause someone to do bad things. So, there is a great need to understand the difference between enabling and helping. Telling a lie to help someone will never be helping rather enabling. Always keep your mind clear about your limitations of helping i.e. when to help and when don’t. If you adopt relaxed behaviour and ignore their use of drugs, it can make them confident to continue doing this in front of you. So, you need to adopt strict behaviour to avoid them further using those drugs in the future. There is a chance that your loved one will buy drugs by using your money. So, assess the situation and don’t give them the chance to be addicted. In such a situation, you are doing well if you avoid giving them money. If you tell a lie in front of your loved ones, they will not feel anything bad while doing the same. It will even increase their confidence regarding that particular activity. So, avoid doing such a thing which you don’t want them to do. If they are facing the consequences of doing something bad, let them face it completely. This is the only way to make them realize that it was a bad activity. Of course, the result of doing bad things is always going to be bad. Tell them that you will only be with them if they avoid bad habits and keep them clean. There are families that don’t take steps to stop their family member addiction. They think that if the addicted person avoids the drug, he may overdose. Don’t worry about the final result and avoid enabling at all costs. Make them feel the shame of what they have done. If you keep them accountable, they will surely try to avoid these bad habits as much as possible. No need to cover the bad habits of your loved one. It will not make things better; rather it will worsen the situation as the addicted person is not facing the consequences he deserves. It is your responsibility to take the step forward and come into action now. What are you waiting for? Do not wait for the time to decide. There are people who have minds that if they stop or push someone against their will, there are few chances to succeed. It is not 100% true. You might be the person who would become a source for your loved one getting rid of those drug addictions.